Sweet Silver Lining: Nurses/Nursing Students Needed! I knew it would eventually come to this, but I have no one lined up for Notes on Nursing for the next few weeks! If you're a nurse or a nursing student or you know one that would be willing to participate, please leave a comment below or e-mail me by clicking the mail button in the sidebar. 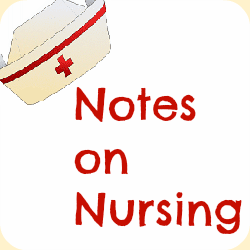 Until I get more people lined up to be featured, there will be no Notes on Nursing on Thursdays! On a different nursing note, I am BEYOND EXCITED to see all my classmates get pinned on Saturday. And I can't wait to see everyone again, even if it is only for a few hours!!! And I am BEYOND NERVOUS for my interview next week. I really want this job!